Yesterday, Lilian Esoro shared a video (screenshot above) via Insta-stories of her son, Jayden Franklin playing around with a wig, and rebuked evey 'bob' spirit away from him. 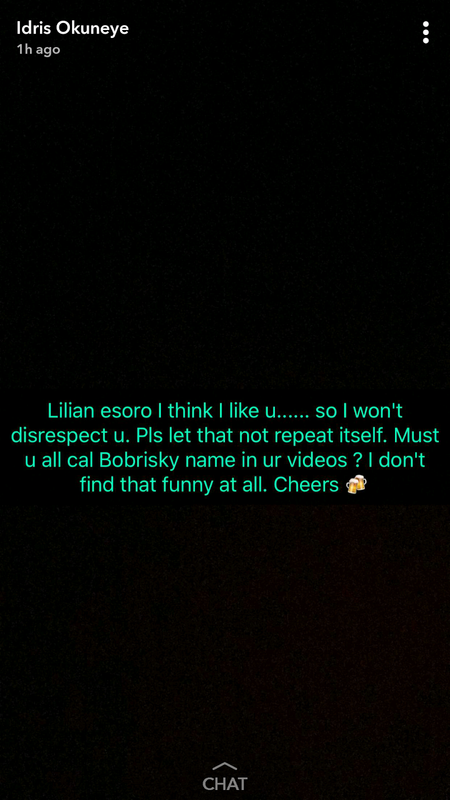 Popular cross-dresser, Bobrisky caught his shade and replied the actress this evening, issuing a stern warning for her to respect herself and desist from mentioning his name. See his posts via Snapchat below.